Not all vineyard waterfront properties are the same. This waterfront estate on the shores of Lake Tashmoo is truly unique. Located on 6.4 acres of woods, the house is on a point of land with water on three sides. There is a main house and several outbuildings. The property is landscaped with two circular drives, brick walkways and over 700 feet of deepwater frontage on Lake Tashmoo. 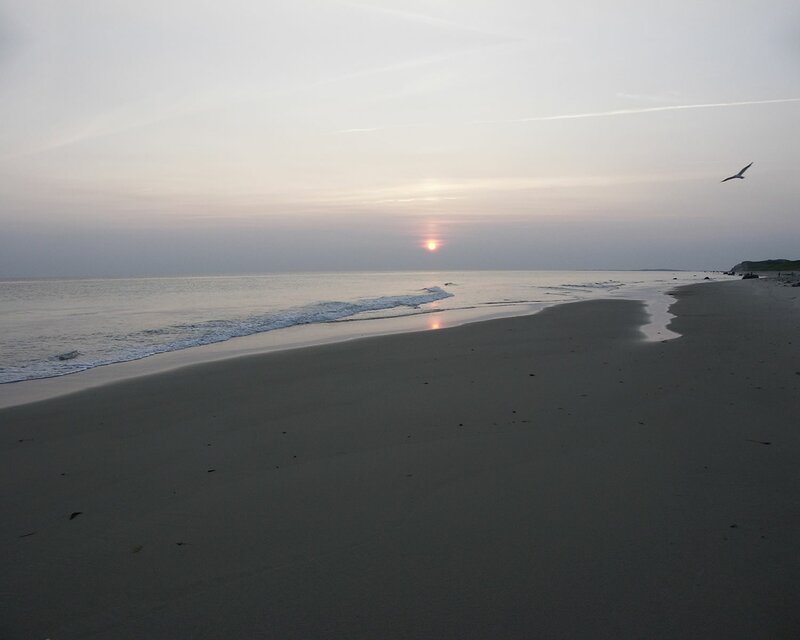 A sandy beach is a few steps away from the front porch. It slopes gently into the water and is ideal for young children. There is a plentiful supply of shellfish just off the property. There is a family of otters, a pair of ospreys that live near the shore and an occasional sighting of harbor seals. It is a bird watcher's paradise. The house has five comfortably sized bedrooms, two of which have their own outside entrances and private decks. The master bedroom and bath occupies the entire second floor of the house, and has the utmost privacy. It has a loft, built-in bureaus, a fireplace and a wraparound outside deck. The living room has fireplace, wood paneling, yellow pine floors and a cathedral ceiling with skylights. A glass wall opens into a screened porch, a favorite place to dine in the summer. The dining room is connected to the kitchen by a set of French doors. It has yellow pine floors, wood paneling and wraparound windows. There is also a family room with a very private screened porch overlooking the dock. The entire house is very bright and cheerful with skylights and an abundance of windows. 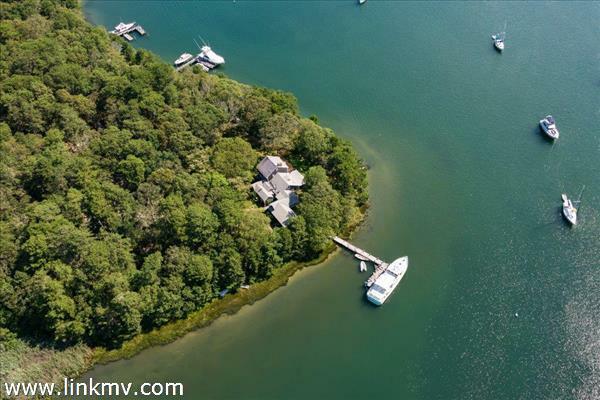 Have you been searching for Vineyard waterfront properties with a deep water dock? Search no more! Don't miss the opportunity to own this stunning Lake Tashmoo property. Master Bedroom Private Full Bath, Fireplace and Waterside Wraparound Deck. There are three other structures on the property. The first is a large three-car garage with a heated workshop and an attic for storage. The second is a small garage that houses the house generator and the third is a gardening supply shed.